Instagram Stories have continued to grow in popularity since they were introduced to the app last year. Coming off of the success of Snapchat's similar function, the Facebook-owned platform has faced ongoing pressure to push ahead of their rivals and keep the attention focused solely on them and what they can offer social media users around the world. With the introduction of their latest update, Instagram's standing as the photo-messaging app with the largest collection of daily users doesn't look like it will be in trouble anytime soon. 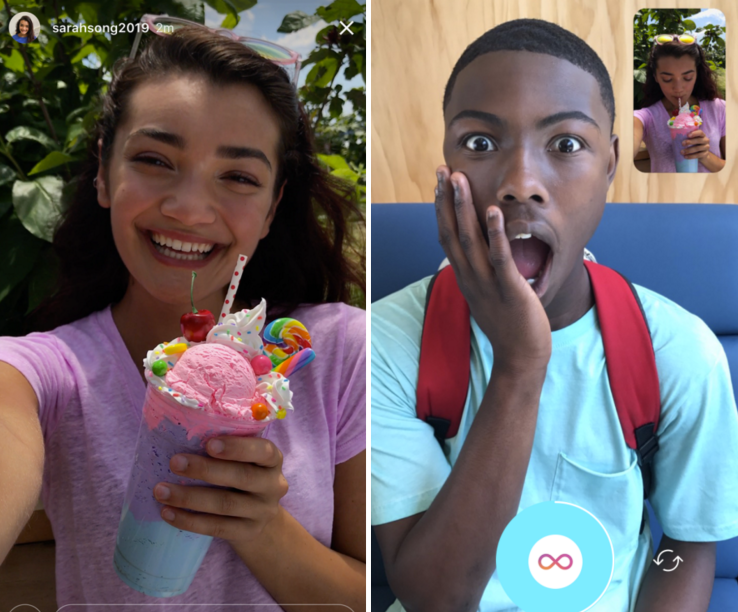 Users can now receives visual responses to their Instagram Stories from followers via the newly-added camera button. All you have to do is tap the icon and the full range of creative tools is available to use in your photo or video, from filters and stickers to the Boomerang and rewind modes. These responses attach to a copy of the Story that allows the receiver to see their post and the reaction to it simultaneously. Just like with a direct message, recipients of this new feature need only check their Instagram inbox to see if they have a new Story response waiting for them. This update doesn't bring a huge array of new content to the app, however, it does provide something that the original creator of the Stories function is still lacking. Snapchat's ability to reply to Stories is currently limited to just textual responses, despite having had several years of growth ahead of Instagram. This is concerning for Snapchat who, up until now, had always been ahead of the competition when it came to introducing new features in the visual messaging world. According to the press release, this new update is just "one of the ways we're working to make [Instagram] the best place to have fun, visual conversations". As the interest in Stories continues to gain momentum, Instagram's investment in building up the engagement of this function is sure to be hugely beneficial for the app.